At the Strong Towns National Gathering I gave a rapid 8 minute presentation on walkability and the scale of the environment, and as part of my talk I briefly covered the concept of Places and Non-Places. For those of you that read my blog, this post will feel familiar to you and will be more of a recap - which I will apologize for - but based on the positive feedback I have received, I feel that this topic is important enough to share here. I wrote my original post on Places and Non-Places back in October of 2012, and as I expose myself to new experiences and think about these topics in more detail, my view of cities constantly evolves with me, so you will notice a few differences and a more refined description here. I grew up around walking. I see cities are these magical, energetic, and complex places that are best experienced on foot. Through the eyes of a pedestrian trying to navigate through the city, my perception of a city was that which could be reached on foot. I would gravitate toward areas that had the most destinations within walking distance - from shops, to river fronts, to amenities and street life - I viewed these centers of activity, where everything was within a few minutes walk, as the ultimate freedom of mobility. Cities are collections of people, so I find it perverse when I see how much land is forbidden, unsafe, or otherwise not designed for people. Every wide road or parking lot I encounter as a pedestrian is just another obstacle, pushing the destination I am trying to get to further away. Even before I became an urbanist, I contrasted the pedestrianized shopping street in the city center - which needed no landscaping or other padding to be pleasant and enjoyable, with the rather spaced out suburban environment. I view everything that is not a destination - a place with a purpose - as just padding. When I encounter padding it really takes away from the city experience. Some of this padding is necessary because it has to accommodate an environment where everyone drives. Yet are these people driving because everything is spaced so far apart? When you hear me talk about Places and Non-Places, I am attempting to distinguishing between the places that are destinations - where people are actually trying to get to - and the padding between them. I was not the first to write about Places and Non-Places. That credit goes to Nathan Lewis. Usually a park has a name because someone will want to go out of their way to visit it, while greenspace does not. By counting the ratio of red to blue pixels, we can come up with a Place:Non-Place ratio. The above map of San Francisco has a Place:Non-Place ratio of 406,550:95,689 or about 4.25:1 (81% place). There is a Place:Non-Place ratio of 334,027:368,354 or about 0.9:1 (48% place) which indicates that slightly more land is used for Non-Places than Places. There is a Place:Non-Place ratio of 27,370:288,178 or about 0.09:1 (9.5% place). We can see that there are very few places supporting all of that infrastructure around it. In the above example, 10.5 times more land is dedicated to Non-Places than Places! Is this even a financially viable way to build a city? No. Compare those examples and ask yourself - which one is more more walkable (the topic of my National Gathering presentation)? Which one is getting their money's worth out of their infrastructure? Would it be possible to build an environment that is 100% place? Since posting those above comparisons on my blog, I have had many people bring up that the Place:Non-Place ratio is flawed because not all Places are equal. 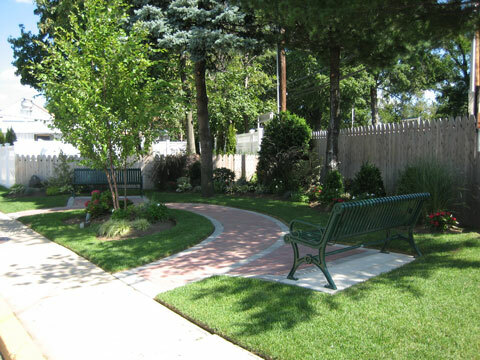 For example, a Place that can be used by many (a public park) is better than a Place that can be used by few (a private backyard.) Likewise, a multistory building adds more destinations than a single story building. Distinguishing between Places and Non-Places allows us to distinguish between destinations and the infrastructure and padding between destinations. I calculated a Place:Non-Place ratio of 209,526:199,385 or about 1.05:1 (51.2% Place). If we fully built out the blocks with the street grid that currently exists, downtown would be closer to 75% place. That is about 23% of the densest part of town just sitting underutilized. I encourage you to make maps like these of your own city. You can imply a lot from such a simple comparison. Some Non-Places are necessary infrastructure, but a good city planner should attempt to minimize the amount of Non-Place as much as possible. Is there something better we could have in lieu of some of those Non-Places? As a pedestrian, Non-Places use up valuable land area - spacing out the destinations around them, potentially being obstacles that must be walked around, on land that could be used as potential destinations themselves. As an urbanist, Non-Places use up valuable land area that could instead be used for productive, tax generating Places. If you care about walkability or getting your money's worth out of your infrastructure, then you should care about minimizing the Non-Places in your city. Treat land as if it is the most valuable commodity your city has.